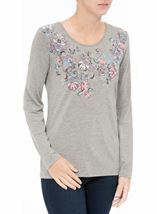 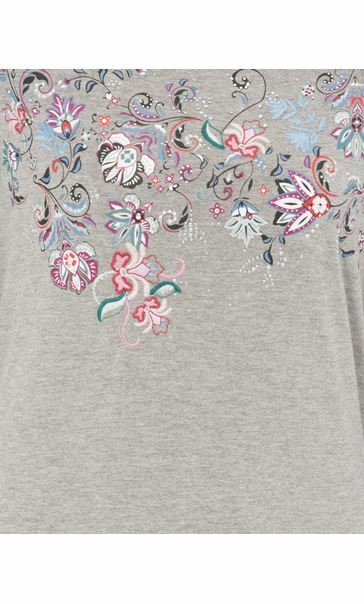 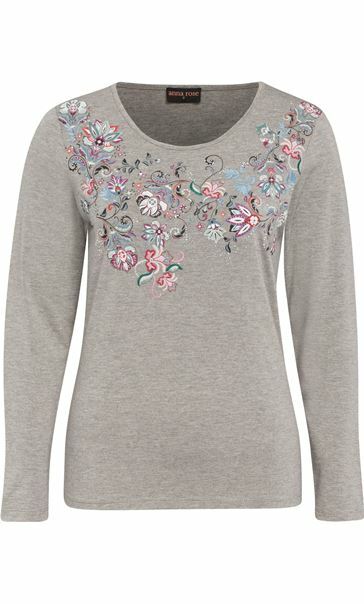 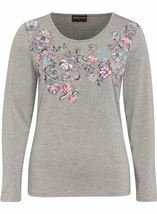 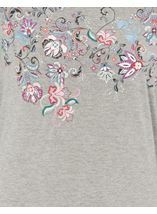 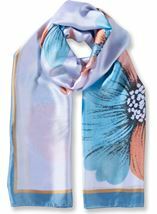 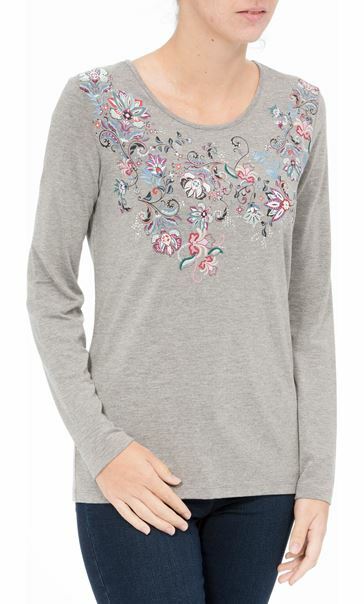 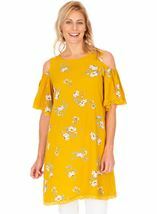 Beautiful floral embellished Anna Rose top that will add appeal to your outfit. 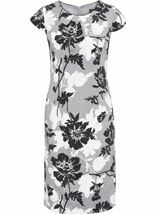 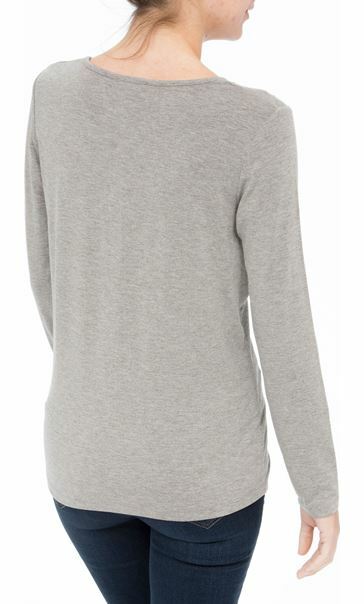 Designed in a grey marl jersey fabric with long sleeves and round neckline, team with smart or casual bottoms to suit your style. 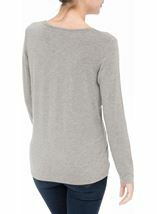 Back length 62cms.